Its site, deployed and hosted by Netlify, demonstrates some of its performance optimisations nicely, and includes search powered by Algolia. It also articulates some of the benefits of a JAMstack architecture very well. 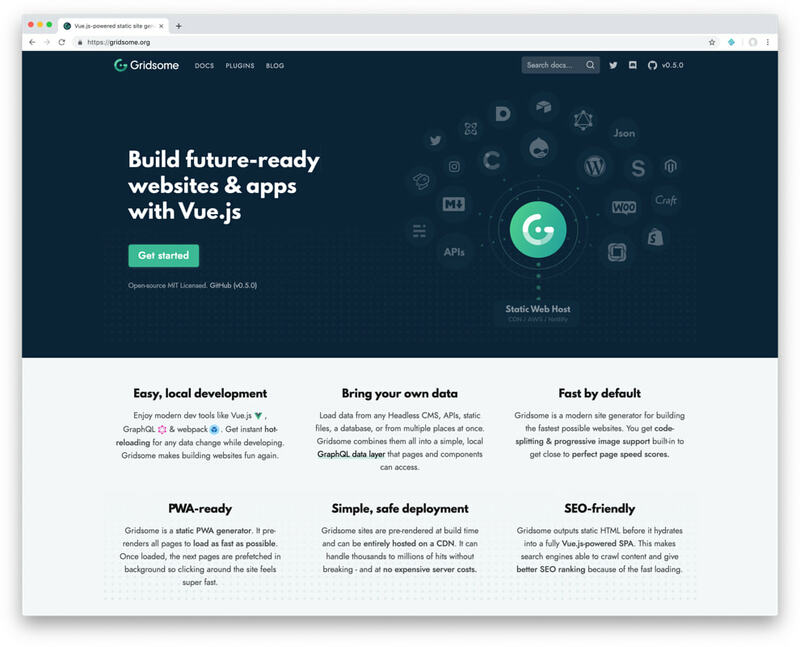 If you like the excellent development pipeline, templating, PWA helpers, and GraphQL support of Gatsby… but prefer Vue to React, Gridsome is worth watching.